Situated approx 1 ½ miles from Cherryville House, Superdrive Motorsports Centre is a world of adrenaline and home to some of the fastest, most exciting outdoor karting and rally tracks in Northern Ireland. The Centre offers groups and individuals the opportunity to push their driving skills to the limit inside real rear wheel drive, Group N rally cars and super fast outdoor karts. 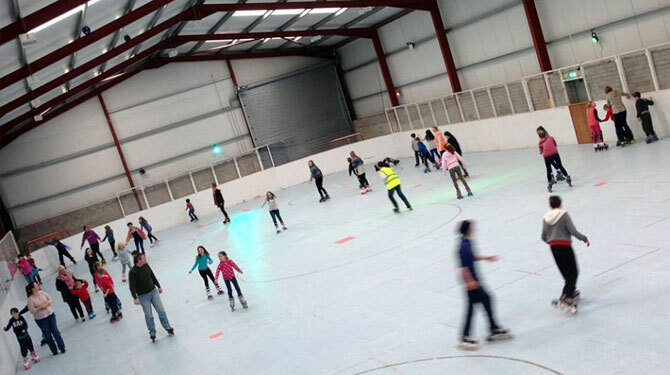 Foymore Lodge is an activity centre located 2 miles from Cherryville House. It has an array of activities for all ages including Clay Pigeon Shooting, 4×4 Off Road Driving, Air Guns and Archery with Shooting Instructors. They are open year round for practice and our facilities are suitable for beginners and advanced shooters, individuals and groups. Facilities also include on-site clubhouse, toilets and refreshments. The lodge also has disability friendly access and layouts. Foymore Lodge is also the location for one of the craziest events of the year – Mud Madness, Northern Ireland’s muckiest and best off road challenge! The next Mud Madness event will take place on 19th April 2015. For more details and to enter, please visit the website: www.mud-madness.com.